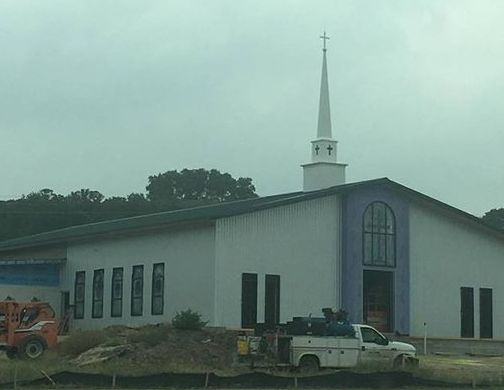 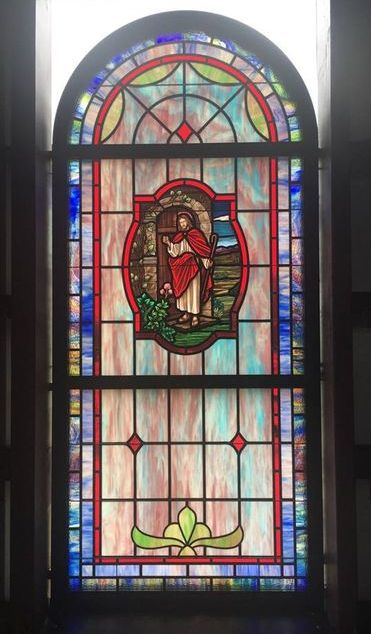 In 2017, Laws Stained Glass Studios installed (11) opalescent glass windows in the new sanctuary at Calvary Baptist Church in Killeen, TX. 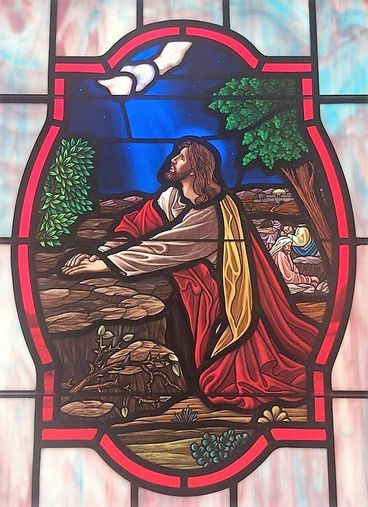 Each side window (size 42" wide x 93" high with a round top) included an 18" x 26" medallion-shaped scene from the Life of Christ. 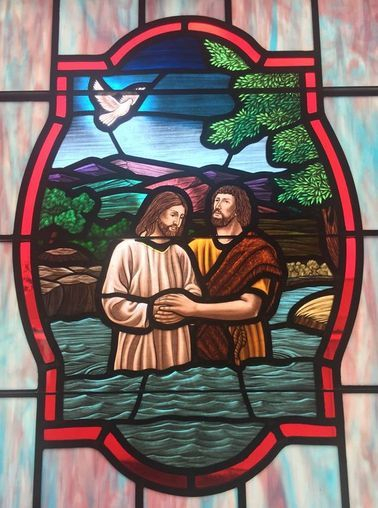 These scenes are made of hand-stained glass. 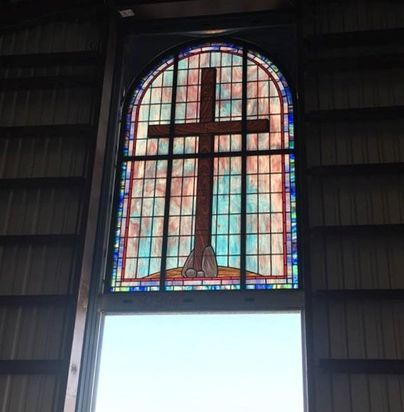 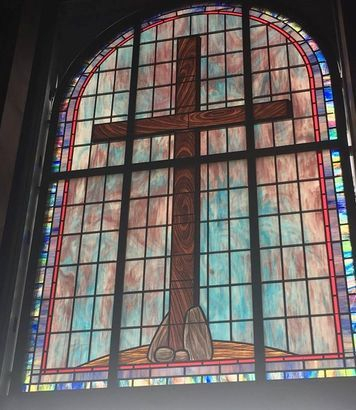 One large window (size 81" wide x 125" high with a round top) contained a large hand-stained glass cross. 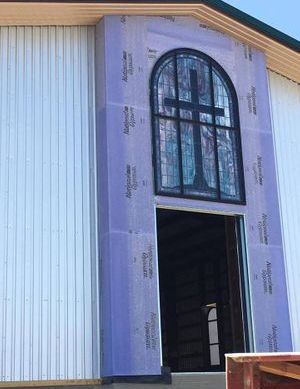 All of the leaded windows were set into dark bronze aluminum frames that were installed into the rough openings. 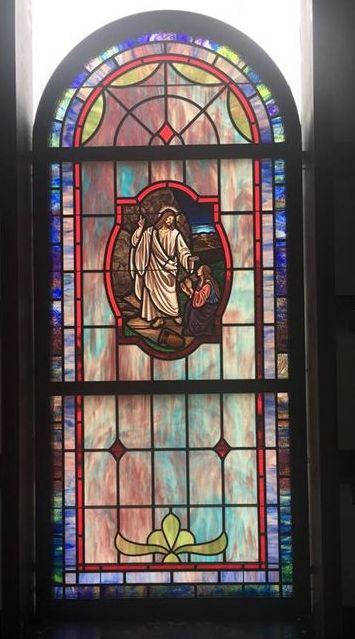 On the exterior, 1/4" clear Lucite acrylic was installed as the protective covering.